Ordnance Survey map reference SM 903 316.
and Castles of Pembrokeshire by Dillwyn Miles. 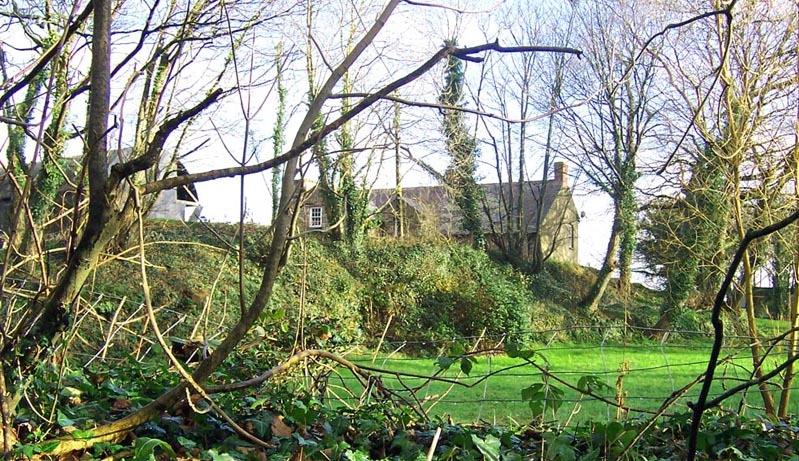 The motte and bailey at Castle Morris was built near the centre of the Lordship of Pebidiog and was a subordinate castle of the ecclesiastical stronghold at St Davids. It is situated on the southern bank of the Western Cleddau river overlooking the roads between other earthwork castles within the lands of Pebidiog - Manorowen to Hayscastle and St Davids to Letterston and Wolfcastle - and was probably built by the Normans at the end of the eleventh century. The southern bank of the bailey. 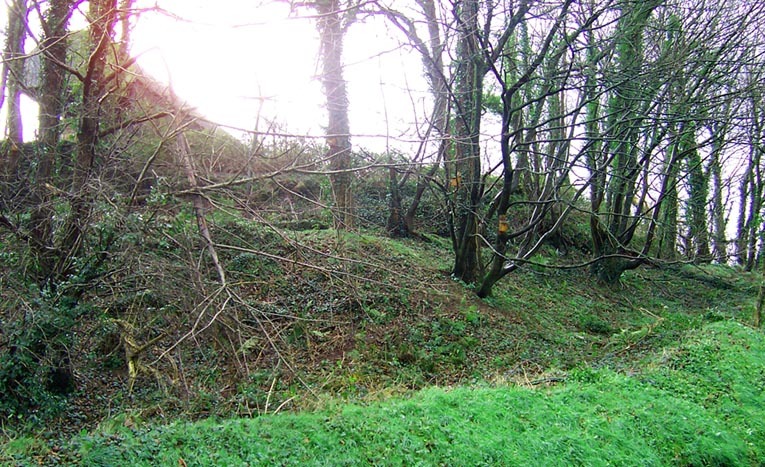 The castle was built on the classic Norman plan of a cone or pudding-shaped mound (the motte), which would have supported a sturdy wooden tower, and a kidney shaped outer enclosure (the bailey) adjacent to and largely surrounding the mound. The remains of the bailey can still be clearly seen and a farm is currently housed within it. However, the motte was purposely removed many years ago so that a new barn could be housed within the confines of the earthwork. 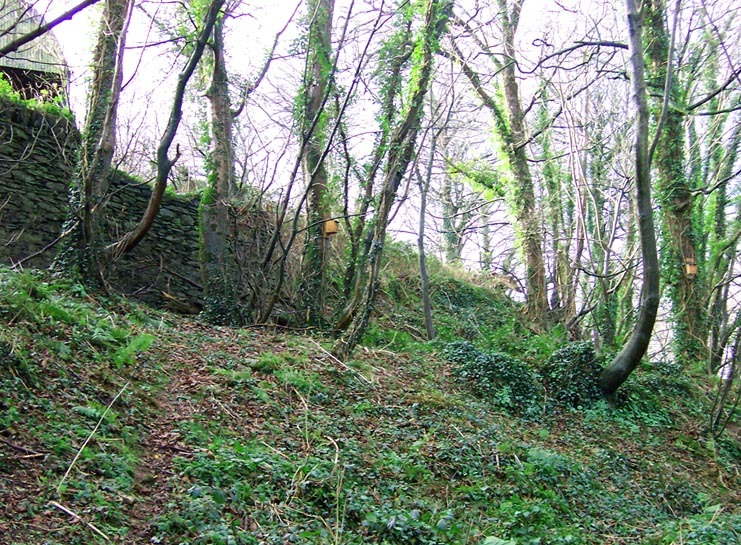 The northern bank of the bailey was built on a ridge above the Western Cleddau river. There is no evidence that the Castle was ever rebuilt in stone and it probably never progressed past the earth and timber phase, which was also the case with all the other castles in this extreme south-western tip of Wales.